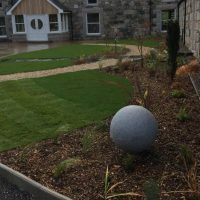 Before we got involved, the clients had built this amazing house but had lived in it for two years before knowing what to do with the outdoor space. 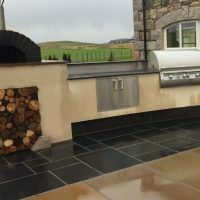 The clients love cooking and entertaining and were keen to have outdoor cooking and social areas. 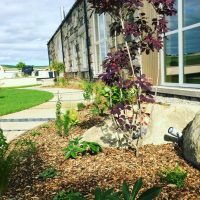 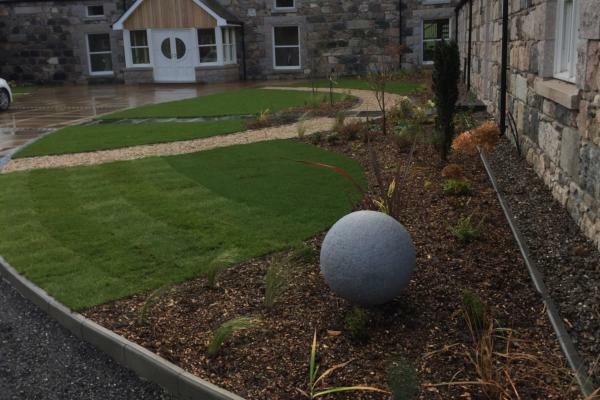 We took their practical requirements and designed around that to make their garden more interesting. 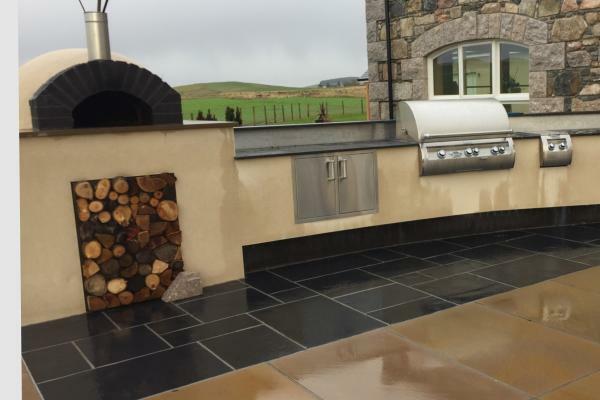 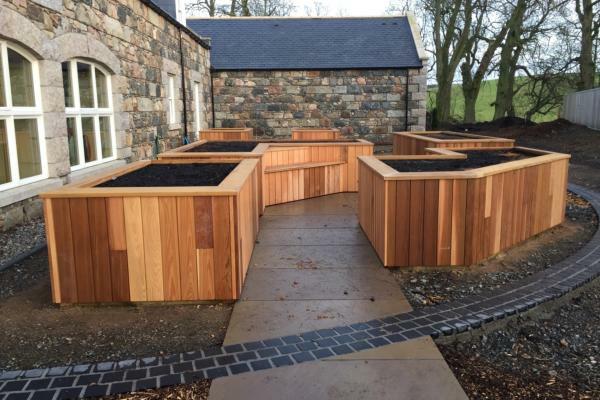 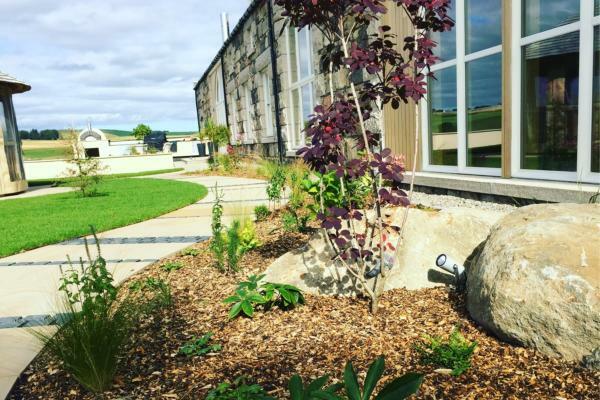 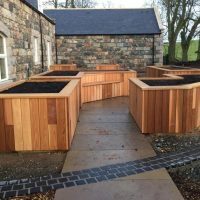 The new garden includes an outdoor kitchen and BBQ area in the back garden with curving paths to the front garden and parking area and the vegetable growing areas with spectacular lights installed so that the clients can enjoy their garden in the winter time as well.